Port Administration Department has completed the purchase of a second tugboat, a requirement by the US Coast Guard, which gave the Port of Pago Pago an extension for compliance until the middle of next month. “The tugboat is officially ours, after the purchase was completed last Friday,” Port Administration director Taimalelagi Dr. Claire Poumele confirmed to Samoa News yesterday morning, adding that the tugboat will be leaving the US mainland soon. Gov. Lolo Matalasi Moliga will make the official announcement on the tugboat’s name. Louisiana based brokerage firm Ocean Marine coordinated the sale of the “Peggy H” tugboat, a 3,000 horse-power (HP), American Bureau of Shipping (ABS) load lined Model Bow Tug. The company’s president and owner, Steve Kokinos confirmed to Samoa News yesterday the sale to Port Administration. Originally built in 1983, he said the tugboat went through a complete “rebuilding and refurbishing” last year. 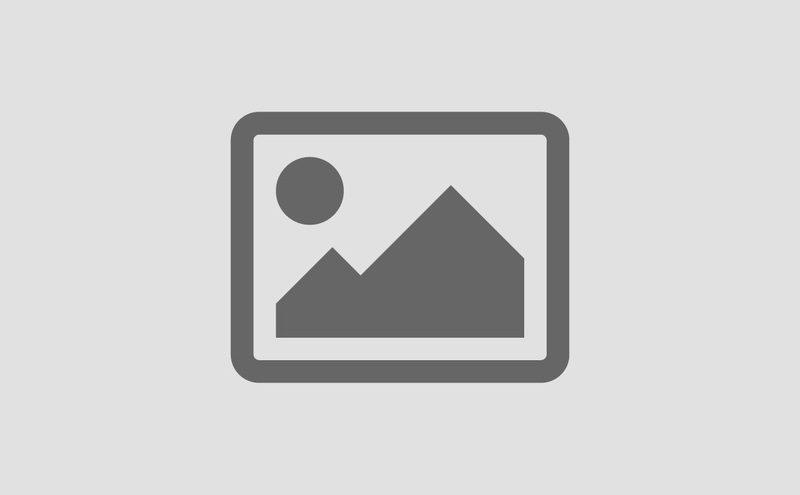 The estimated cost of the project is $1.2 million. The USCG, which oversees the Port of Pago Pago, has issued three waivers allowing ASG to use only the tugboat Sailele, with the third waiver issued Nov. 15, 2017 and valid until Mar. 15, 2018. 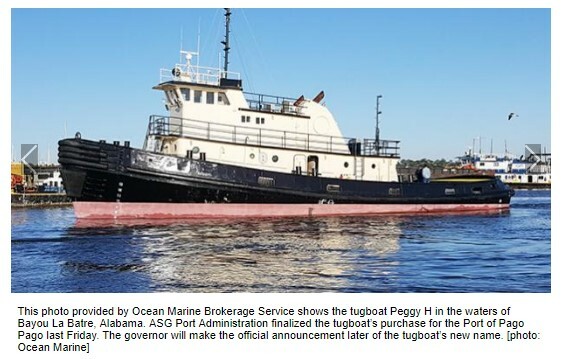 “Port Administration continued to search and identity the tugboat which meets federal regulations and the task is now complete with the purchase of Peggy H,” said Taimalelagi. Further, staff at Ocean Marine has enjoyed working with each and every one of the hard working staff from the ASG Port Department involved, “and it has been a pleasure every step of the way,” said Kokinos, who plans to travel to Pago Pago to welcome the Peggy H to her new home. “We wish smooth seas and fair winds to the crew of Peggy H in their voyage to American Samoa,” he said. Port Administration’s five-member crew, which includes Capts. Lafoga Alovao and Michael Pulu, will be sailing the tugboat on its own, said Taimalelagi, adding that the planned sailing route starts off in Alabama to the Atlantic, through Panama Canal out to the Pacific Ocean, then to Tahiti before heading to Pago Pago. This is the same route taken by the MV Sili.